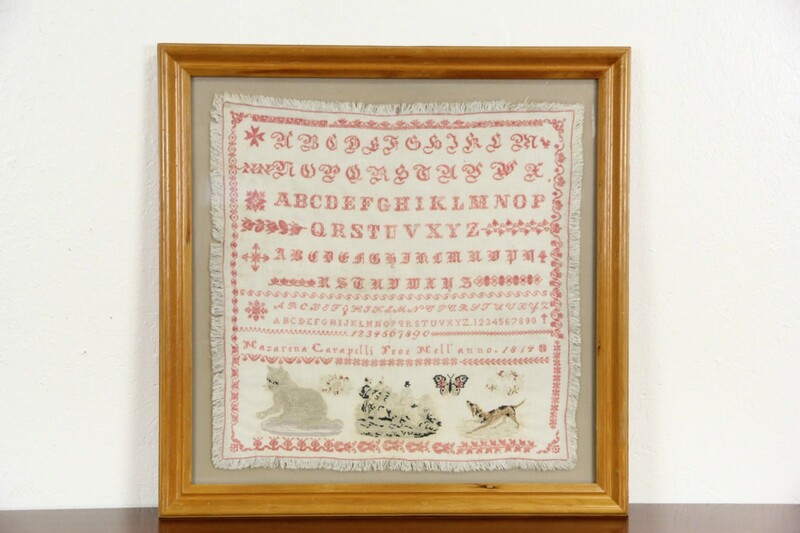 Dated 1814, this beautiful Italian stitchery sampler is in very fine condition. The young woman who stitched it signed "Nazarena Carapelli Fece Nell (Made this in) AD 1814." A butterfly, cat, dog and figures on a sleigh are exceptional. The linen background is fringed around the bound edges. Finesse and artistry are outstanding on this traditional antique textile. Sampler size is 22" square. The pine frame is later, overall size is 27 1/2" square and 1 1/2" deep.